hint: you NEED the charcoal beauty bar! you’ll receive an Amazon gift card, FREE! NOTE: your free gift will arrive separately from your Beautycounter order. to the shipping address listed on your forwarded Beautycounter receipt. CLICK. Navigate to Beautycounter through this link to make your purchase by January 20, 2018. BUY. Place an order for $100 or more (not including tax, shipping and BOB credits). Your gift(s) will be sent directly from us, separate from your Beautycounter order. Each gift emailed by February 2, 2018. You must make your purchase AND forward your receipt by January 28, 2018 to receive your gift with purchase. Purchases made/receipts received after this deadline will not be eligible for the free gift. 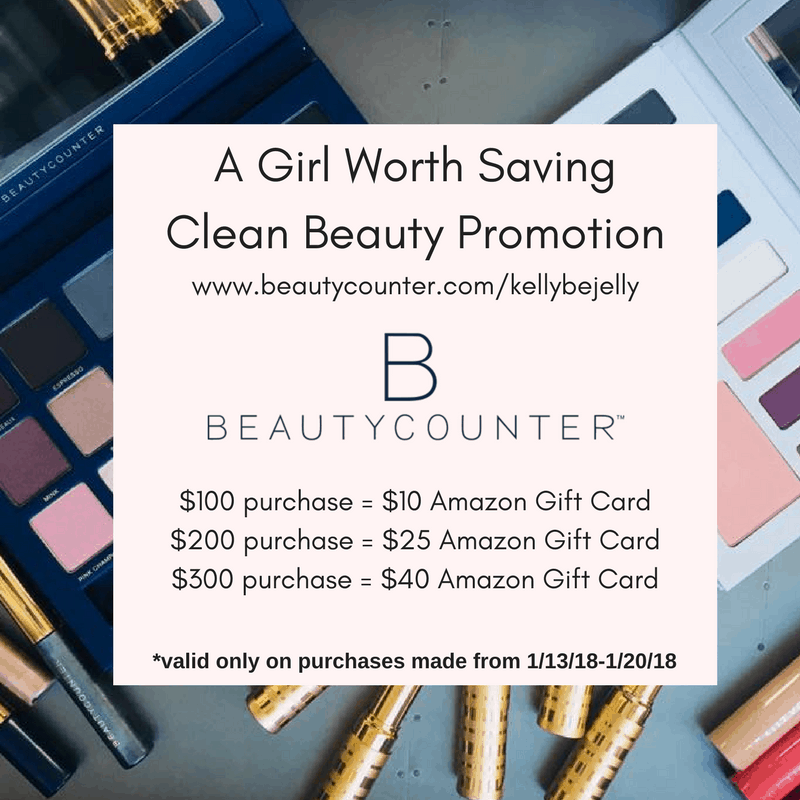 You must order via the link(s) above and ensure Kelly Bejelly is listed as your consultant at checkout so that we can track and verify your order. You must complete the steps above to receive your free gift.